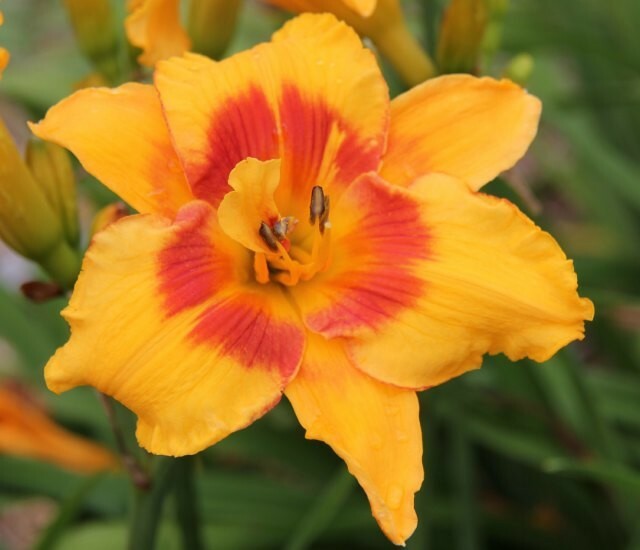 Daylily 'Always A Pleasure' is golden yellow with a distinct red eyezone and some picotee on the petal edges. The flower form is full and rounded and individual blooms sometimes double. Even on colder late summer days the bloom always opens well. The clump features sturdy scapes with a high bud count.